As a new calendar year unfolds bringing in expectations for a brighter tomorrow, WebGuru takes this opportunity to wish you and your family a wonderful New Year filled with health, happiness and prosperity. Let’s all gear up for a fresh start with new confidence and courage to face new challenges. 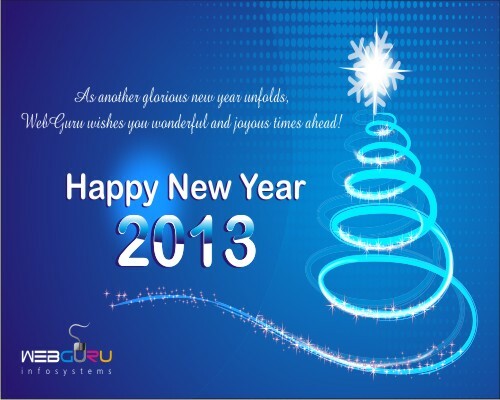 Celebrate life to the fullest and make year 2013 a memorable one.